Having a detailed Topographic Survey is the foundation for any successful Engineering and Architectural site design. By conducting a topographic survey at the conceptual stage of a project you will have an accurate base to work from to assess how a piece of land may have to be shaped and the amount of earth moving that will have to take place to build the site out. Topographic Surveys are also very commonly used in construction to quantify the amount of material moved on a construction site. Existing fences, walkways, stairs, retaining walls, landscaping, etc. Once the field work is completed a 2D map will be drafted showing all the existing features surveyed a 2-dimensional map plan view map will be produced to scale. The map will also show the contours which are horizontal lines connecting user specified elevations. The relative spacing of the contour lines indicate how steep the terrain is. The closer the contours the steeper the terrain. 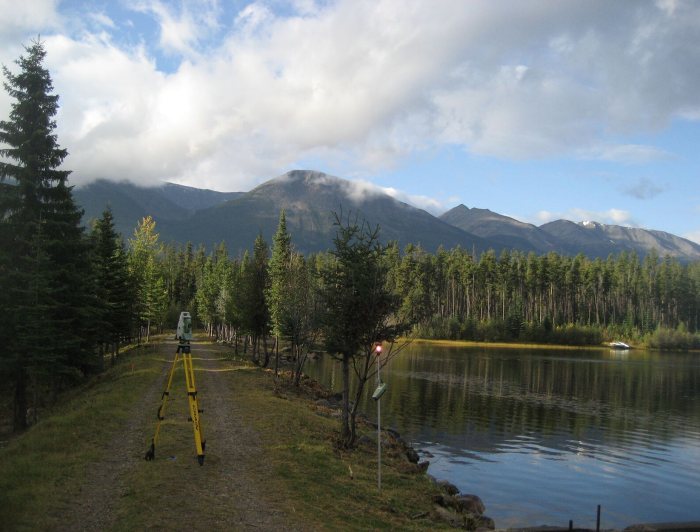 If you require a Topographic Survey in Kelowna, Lake Country, Vernon, or Penticton call OSDC.